Suggesting yet another reason you shouldn’t outsource all your online picture needs to 30 seconds of hurried Google Image searches, the internet suddenly noticed today that the official web site for the Arizona branch of the Republican Party was advertising its commitment to diversity with a cast picture from a 23-year-old Margaret Cho sitcom. As reported by Vice News, the “People” section of the site—which has been pulled down, apparently, but which previously stated that the party would never “demand special rights for certain races, push policies that favor members of one group over another, or single out certain ethnic or social groups with the promise of special favors or political privileges”—contained a picture labeled “Asian-Americans,” which was clearly a cast photo from Cho’s 1994 sitcom All-American Girl. Starring Cho, Amy Hill, Jodi Long, Clyde Kusatsu, and B.D. 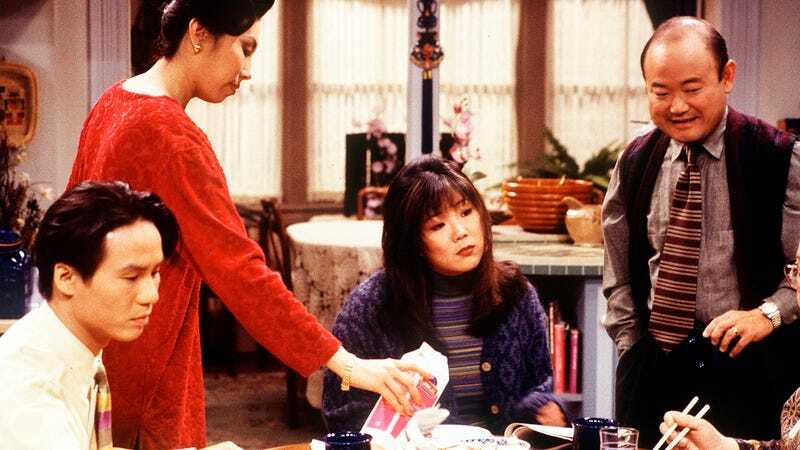 Wong—all of whom you can see happily smiling in archived pictures of the page, thanks to Vice—the series broke new ground as one of the first American sitcoms with a primarily Asian-American cast. And if you’re not sure why that kind of representation is important, consider the fact that whichever bored intern put that web site together didn’t accidentally fill the box for “White people” with a 20-year-old press photo from an early season of Friends.